We are very reliable and use the latest scheduling programmes to effectively manage our window cleaning rounds, so our customers benefit from a regular 4, 8 or 12 weekly service they can depend on. For your peace of mind all of our staff are police checked and will have their references scrutinised before any of them are employed by us; they carry ID with them at all times and we have the benefit of full public and employers liability insurance. Cleaning Gutters can easily be overlooked in any home and programme of facilities management. We use latest scheduling programmes to effectively manage our window cleaning rounds so our customers get continuously reliable service they can depend on. 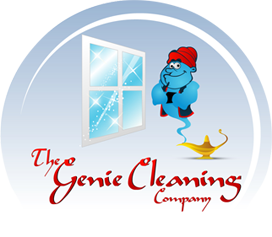 The Genie Cleaning Company have been cleaned our windows since we open our Burton branch, we have found them to be reliable, honest and consistent. The Genie Cleaning Company have delivered a first class service from the initial request, quote and execution of the task and B & Q would highly recommended them and will use the company again in the feature. Great efficient reliable service in the 7 years we have been using them. Genie Cleaning Company are reliable and honest firm who are prompt and a very happy team. All deliver an excellent service. 2015-2017 © www.geniecleaning.co.uk.All Rights Reserved.